The City and County Charters: Time for Revision? A better charter is a tool for a better government. When the language of a charter is archaic, and when a charter is written in minute detail, citizen participation interest and participation in government is discouraged. The charter for a local government must accurately reflect the local conditions. There are alternative approaches to revising a city charter. Direct initiatives by voters and legislators are ways to do this. It is much more difficult to revise a county charter. 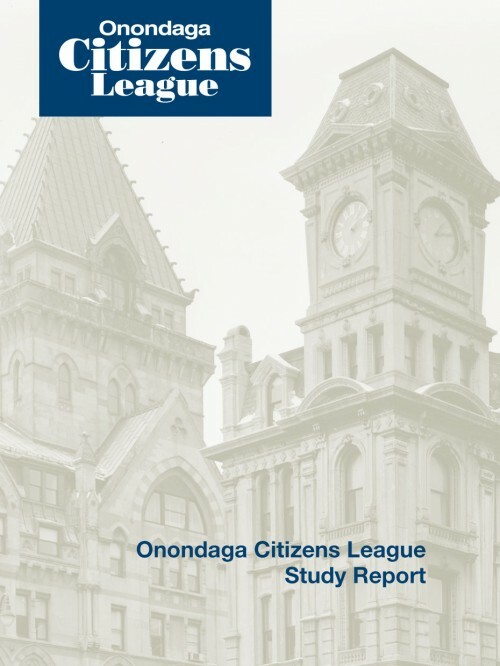 The study looks at work as it happens in Central New York. What is the work that people in this region do? What job opportunities will shape our future? How much of Syracuse’s high concentration of poverty is tied to the ability or inability of area residents to find gainful employment sufficient to support themselves and their families? More on "How CNY Works"